The irony is that the very issues Narendra Modi campaigned on in 2013 are the ones his government has managed to aggravate the most since coming to power. 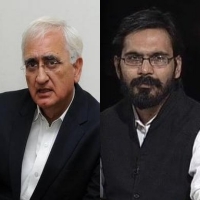 Salman Khurshid is a former Union minister for law and external affairs and a senior advocate of the Supreme Court, and Muhammad Khan is a National Media Panellist for the Congress party and an Advocate. It is interesting that during the campaigns for the elections to the five state assemblies, Prime Minister Narendra Modi has been noticeably reluctant to talk about his government’s achievements. This is also ironic because we know that the prime minister loves to advertise. So much so, that a parliamentary query revealed that the government has spent close to Rs 4,880 crore of tax payer money on advertising their ‘achievements’. As we enter the last five months of this government’s tenure, it is becoming increasingly apparent that a historic opportunity has been squandered. The Modi government – which was doubly blessed by a historic mandate from the people and three years of low oil prices, had an opportunity to enact widespread reform. Instead this became a government with questionable priorities and a lack of any legislative clarity. The successes of the Modi government are debatable. However, there were ten critical missteps which will, without a doubt, define the Modi government. This would be at the top of any list for its sheer lack of success and the widespread havoc that it inflicted on the economy. While being taught now as a cautionary tale in business schools overseas, it enjoys the unique distinction of having failed on every one of its stated objectives (combatting terror funding, fake notes and black money) while having wiped out jobs. Studies by noted economist Arun Kumar and the Centre for Monitoring Indian Economy continue to illustrate that we are not out of the woods yet. Farmer suicides rose sharply during the Modi government’s tenure. In its final budget, the BJP on the demand of minimum support price plus 50%, gave a version that satisfied no one. In parallel, the Modi government imported wheat and pulses without thought – leading to the prices of domestic produce crashing. Add to this – the ill-advised venture to amend the land acquisition Act of 2013; to forcibly acquire the land of farmers. Farmers have resorted to all manner of agitations to catch the BJP government’s attention. They have marched and held large scale agitations thrice this year. They have brought the mortal remains of their brethren, who committed suicide, to shock this government into action. The children of those farmers who took their own lives held peaceful protests barely a kilometre away from parliament. Not a single representative from the BJP Government deigned to meet with any of them or even acknowledge their presence. The prime minister and his cohorts changed the terms of a deal to acquire fewer jets for three times the price without following the stipulated procurement procedure. When cornered with questions, the government chose to attack the opposition and cite rules of privacy which were contradicted by the French president in an interview to an Indian channel. The Rafale controversy attracts questions also because of the selection of a private party as an offset partner – one who lacked any qualifications in this regard, except for an obvious proximity to the Prime Minister. There has been an enslavement of certain sections of the media which simply choke on any criticism no matter how innocuous of the prime minister and the BJP president. If a channel is less than pliant, it is blacked out for 24 hours, its premises are raided, or the offending journalists are mysteriously made to go on sabbatical or removed outright. The parliament is an inconvenience to this government which prefers to rule by fiat and ordinances. The prime minister rarely attends parliament, and when he does it is more to give electoral speeches than to lay out a legislative agenda or answer questions raised on the floor of the House. The promised Lokpal is so artfully forgotten that an irate Supreme Court has to direct action. An audacious chief minister promptly upon assuming office withdraws all criminal cases against himself and no one blinks. Electoral transparency is promised while bringing in unaccounted funding through regressive and opaque electoral bonds. The CBI is in the throes of a battle for credibility. The list goes on. There has been a sharp increase in targeted attacks on Dalits and members of the minority community. What makes these attacks unique is the state endorsement to the attackers when ministers garland them or reverentially attend their funerals. The message of support is lost on no one. In fact, the only coherent thread running through this government’s term has been the othering of a certain section of India. People who are blessed to be followed by the prime minster share only one other thing in common. They are defiantly communal and abusive. Almost as if they have official sanction. This government deserves the credit of having alienated the Kashmiri people from the rest of India through a poorly thought out engagement policy. For the first time, since the 1996, by-elections could not be held in the district of Anantnag and had to be delayed because of the tense situation. Eight month long curfews destroyed the local economy. Worse still, there was a marked increase (72%) in the number of our soldiers martyred in just the first three years of the BJP’s term. The extremely inept handling of Kashmir deserves a study unto itself. For months this government argued in the Supreme Court against citizens having a fundamental right to privacy. It argued for surveillance and labelled privacy an ‘elitist concern’. In parallel it struggled to explain why it ordered the mandatory linking of Aadhaar to all possible services from railway tickets to school admissions. The Supreme Court ultimately had to step in and severely curtail the domineering designs of the project. A small island nation like Maldives feels confident in spurning India, Nepal has no compunctions about engaging with China as does Sri Lanka. Until five years ago, India enjoyed a pre-eminent position in the subcontinent with its voice sought on resolving matters within these countries. It is clear that that influence has been eroded because of a foreign policy lacking any coherent objectives, except to promote the Prime Minister’s cult of personality. When the government has to revise the methodology for calculating GDP to make its numbers appear artificially higher, when capital flight on an unprecedented scale takes place, when companies turn to external lenders to finance operations, you know the government has failed to create jobs. This is a dismal report card by any measure, but it is far from exhaustive. The sheer number of high-value defaulters who audaciously fled the country with public sector money, the almost cruel increases in oil and LPG prices, the lowering of the standard of political discourse etc. ; these are just some of the several missteps this government will have to answer for. The irony is that when the prime minister was campaigning in 2013, he promised to address these very issues. He has instead aggravated them to a point where it will take years to undo the damage. The prime minister likes to speak of legacy issues often. The truth is his legacy is going to be an issue of sizeable concern for himself.